The South Easterly trade winds continue to blow, which made the last two weeks casting a little tricky. 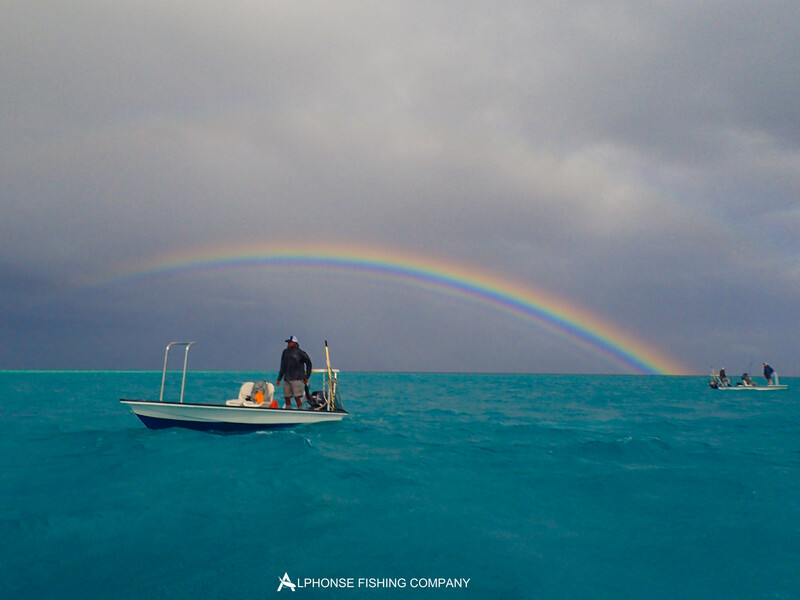 As they say, every cloud has a silver lining as the cooler winds kept the water temperatures down, which made for longer periods of incredible bonefishing and also enticed the permit to eat. 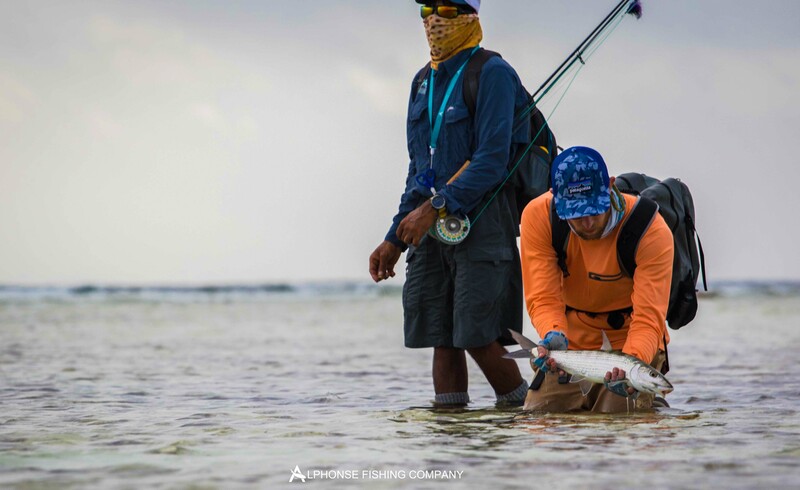 As we continue to ease into the season we hosted six anglers comprising of a team from Wildfly TV show, VagabondFly Mag and friends Niel Rowe and Mike Holman. 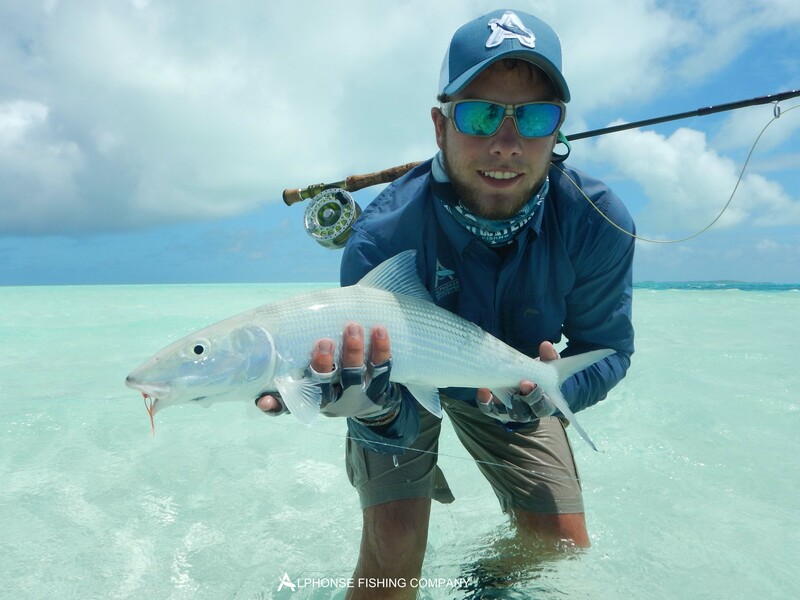 In true Alphonse fashion the teams started with some incredible bonefish sessions before turning their focus on all the other wonderful species on offer. The Wildfly team comprising of Brad Cartright and Jeremy Rochester where quick off the mark with Brad landing the biggest GT of the week measuring 101cm (47lbs). 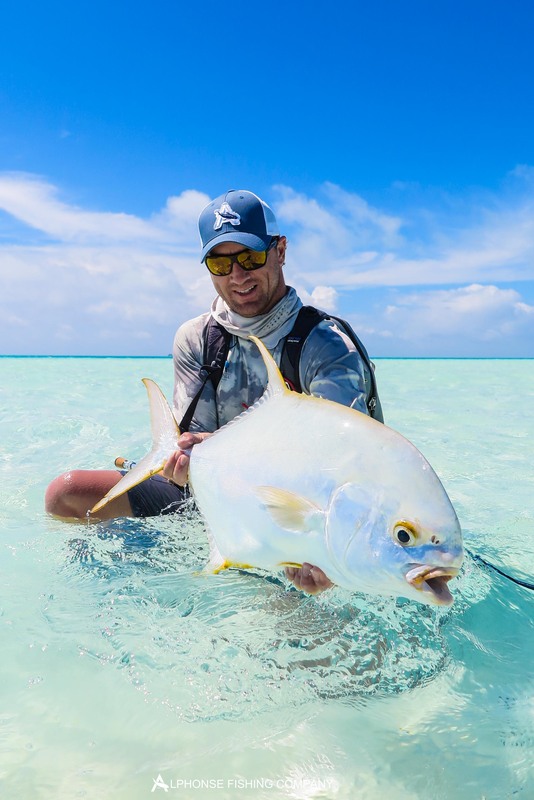 His week didn’t end there as later on he managed to land a trophy moustache triggerfish on the same day Jeremy landed a massive yellowmargin triggerfish. 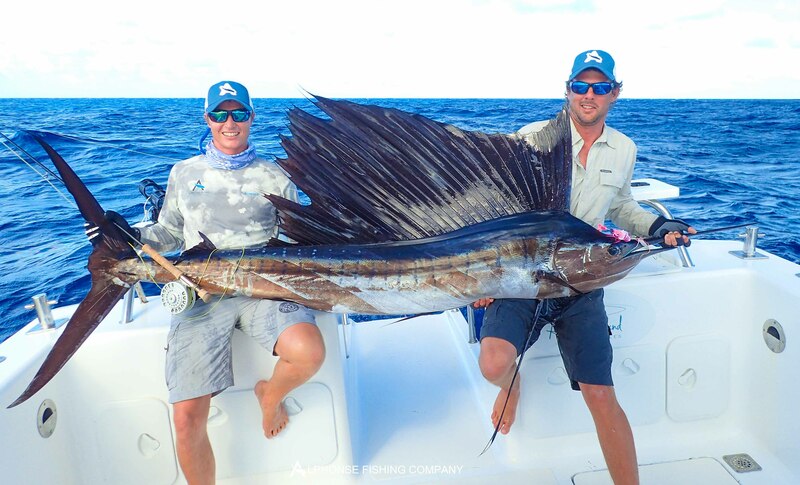 Jeremy too had an outstanding week as he landed the first Sailfish of the season, in style and on 20lbs leader. 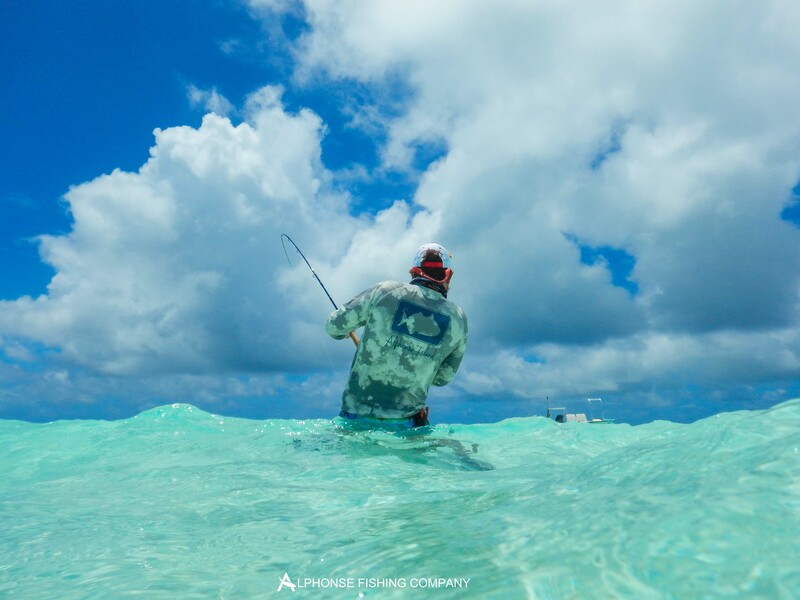 Later that day he hopped onto the flats and landed a few bonefish, which entitled him to receive the first “Bills and Bones” slam of the season. 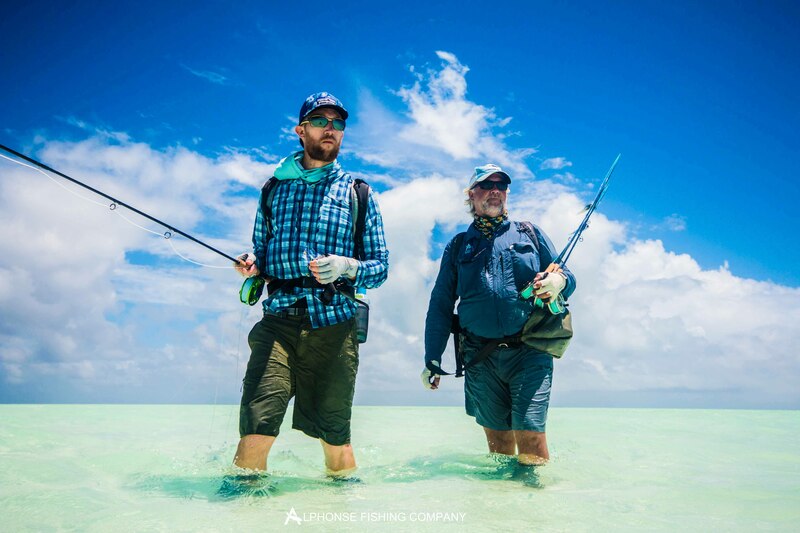 Keith Rose-Innes and Devan Van Der Merwe took a break from the office and headed onto the flats for a few sessions, landing three GT’s on the first day. The fishing gods smiled favorably upon Keith as he landed 2 magnificent permit in two consecutive sessions. 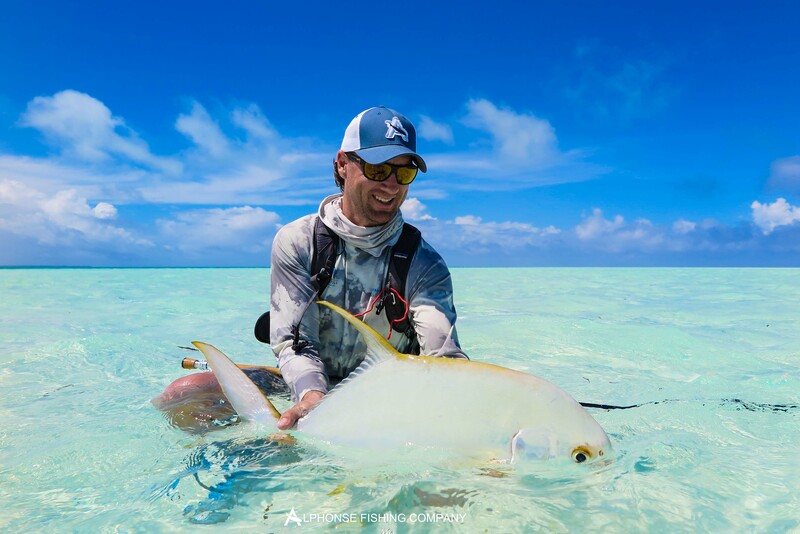 Our very own guide, Dave Marshall also managed to sneak himself in front of the Wildfly camera and managed to land a fantastic yellowmargin triggerfish. 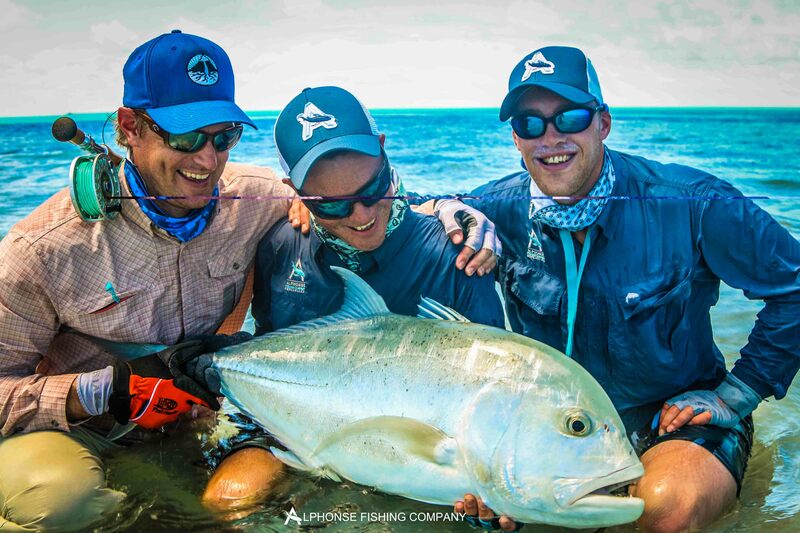 The Vagabond boys, Collin Campbell and Peter Taljaard had their first Seychelles flats experience this week. 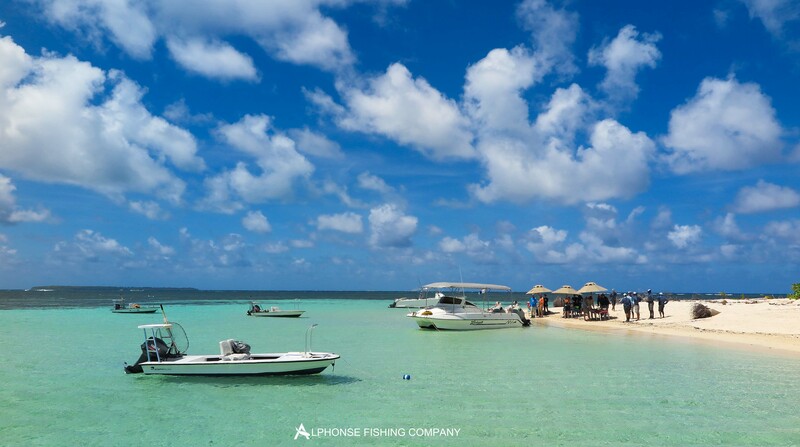 Needless to say that they were very eager to get fishing and after landing over 20 Bonefish each on the first morning, Peter locked horns with a great 95cm GT later that day. 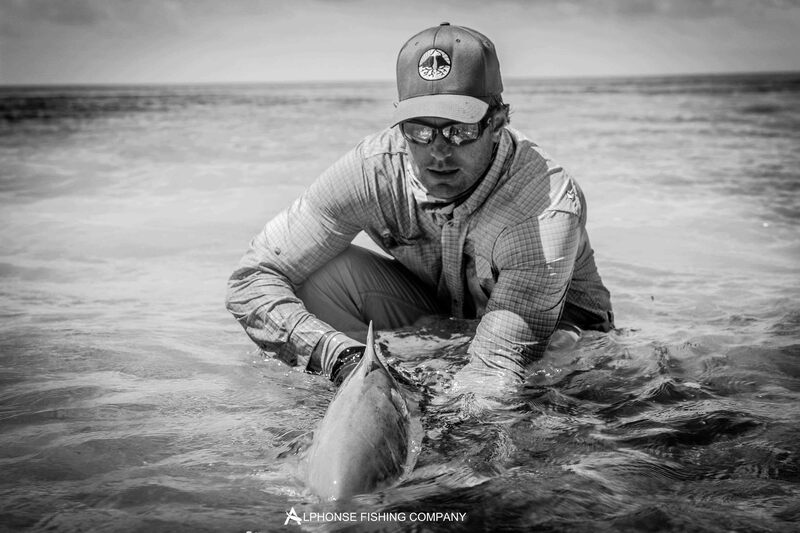 Collin also bagged an 89cm GT as well as 2 beautiful permit making a grant total of 4 permit landed during the week. Overall, with only 6 dedicated rods this week, the fishery produced a spectacular and large amount of fish.